Also, I've had to go and manually change the status of EVERY form collapse to OPEN so I can see between them in the designer. Is there some way to view every field? I have checked with some fields within a form collapse tool in the Form Designer and see that fields are displayed without having the form collapse tool to open. Following are the fields that I set in the form builder. 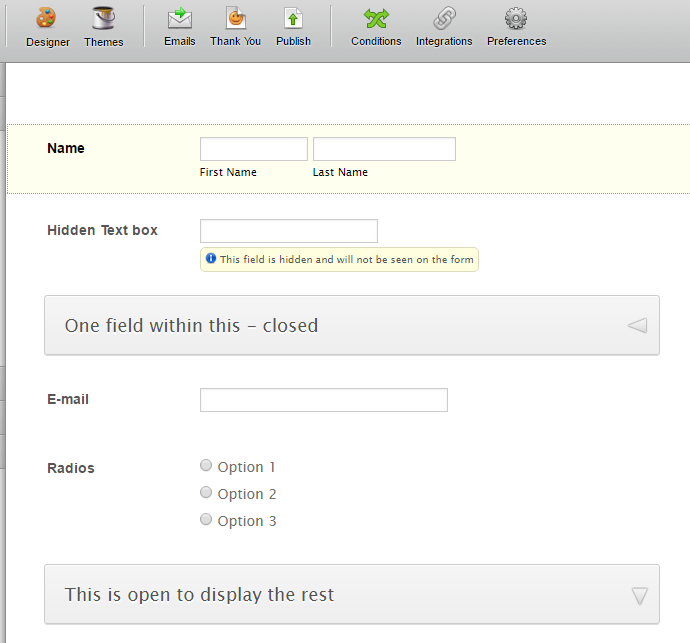 When the same form is opened in the Form Designer, it didn't display the hidden field. 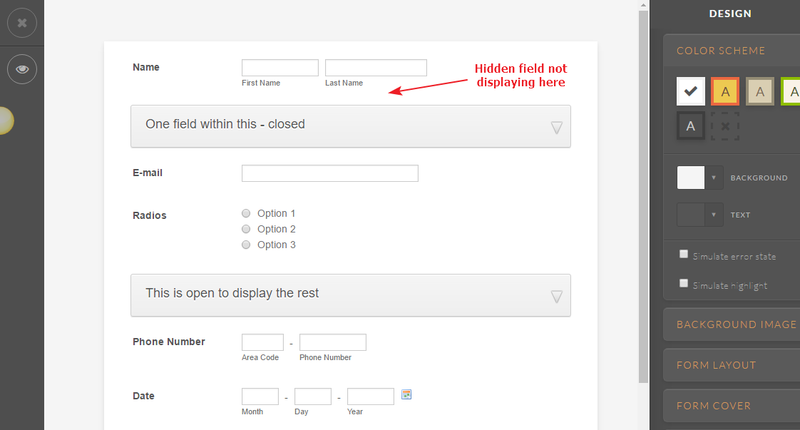 However, the hidden fields are not being displayed in the Form Designer. Let me forward the thread to our backend team to take a look at the issue. Once we have any update in this regard, you'll be posted here. As a workaround, you may make any changes to the hidden field by getting it's field's ID and use it to inject the custom CSS code to your JotForm.